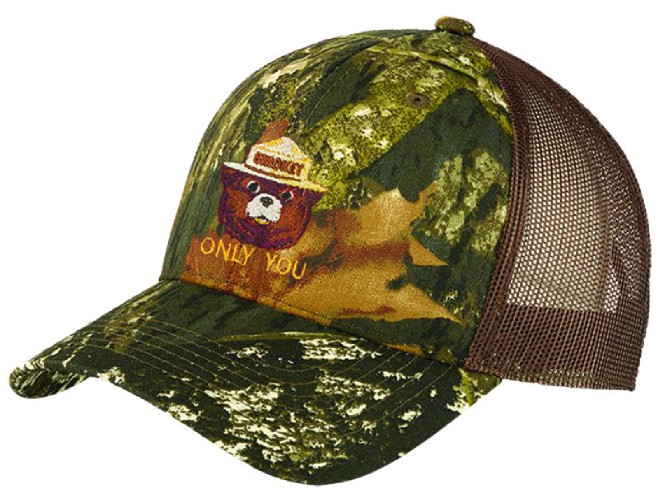 Camoflage material on the front with Smokey and "Only You" embroidered. Back half is cool mesh. Adjustable band with Velcro closure to fit all sizes.